Hi, I’m Linda Lehmusvirta. I produce, write and edit Central Texas Gardener. And my name is Finnish, if you’re wondering. I didn’t get the blond hair, though. When I was 8, I asked Santa for a typewriter, determined to be a child prodigy novelist. Didn’t make that, but learned to type and torture everyone with my so-called stories. I wrote “plays,” and did a brief excursion into a neighborhood newsletter. At 10, I organized boys vs. girls softball teams on our street’s vacant lot. Neighbors came out every night to watch. I carried a clipboard to manage everything and was really a pain in the neck. In high school, I joined the debate team, entered speech tournaments, even managing one of them, and wrote bizarre “plays” and fake radio and TV shows for every class project. My dad drove me to interview a NOW leader for my first interview on his tape recorder that I’d cadged the minute he brought it home. One teacher took me to visit a TV station and suggested that as my career path. So, at UT-Austin, I got a degree in Radio/TV/Film hoping to be on the credit list for shows like Masterpiece. Instead, I got a gardening show. And I love it! Really, TV drama is nothing compared to gardening, as you well know. My dad always advised me to find my niche. After searching really hard, well, there it was, right in my face, behind a shovel and a computer. As a college kid at home in summer, I attended Texas A&M AgriLIfe workshops, the youngest one in the crowd. Why I did this, I don’t actually remember, but when you’re 19, any excuse to drive the family car works. And I got hooked! But it really all started later when my husband and I bought a house that comprised: gigantic fire ant mounds, scrappy grass (didn’t know what kind), and a few sickly non-native trees. Soon, one fell on my car. Along with zero knowledge, I had zero budget for gardening. Actually, zero budget for anything. We ate lots of rice and beans. I got my first tools as a freebie when I bought a blanket on sale at Montgomery Ward. At first, I planted discount bargains that belonged in another state or at my parents’ house in a different climate and soil. They died. I started researching. I met people. They passed along divisions, cuttings, and knowledge. I attended every event at the Lady Bird Johnson Wildflower Center in its first location. Around then, I got a job at KLRU as an assistant producer and went on to production manager, producer, and lots of other things: NON-PROFIT multi-task! Assigned to every project that came along, one day I got tapped for a gardening show experiment. At the time, we were looking at a fishing show, too. Nothing against fishing shows, right, but whew doggie that the garden show was a hit. This was a chance to spare gardeners my pathetic mistakes. Along the way, I connected to native plants, wildlife habitat, drought-tough techniques and artistic renditions that reflect our Texas settings. Also, it was my avenue to tell the stories of imaginative, passionate, intelligent gardeners and pass along their knowledge to influence lovely, delicious, sustainable and wildlife friendly gardens that truly impact our future. It’s my way to make a difference. Writing, editing, research/management (3/4 of a TV producer’s job), curiosity, a tech bent in my gene pool, and a formerly boring YARD full of fire ants that’s now a certified Backyard Habitat garden: it’s all come together. CTG, right here, right now, for our future. 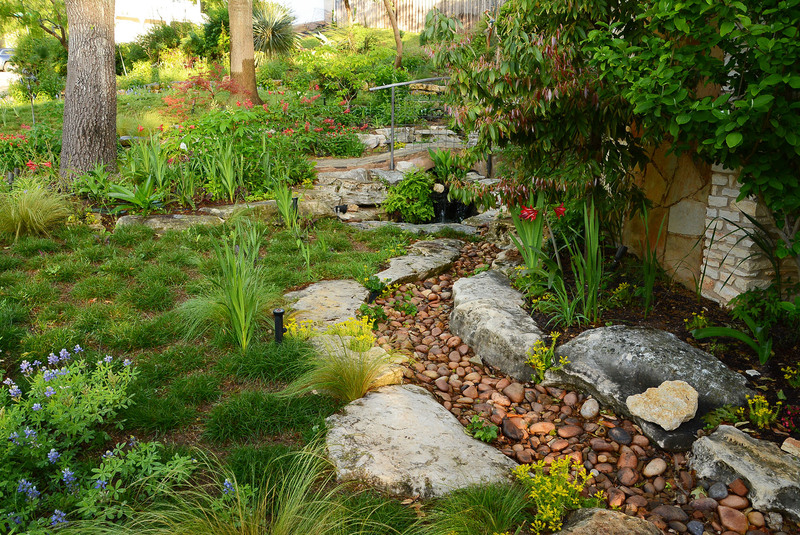 Do you have a question or plant you would like to see featured on Central Texas Gardener? Submit your question or photo to Central Texas Gardener’s producer Linda Lehmusvirta at llehmusvirta@klru.org. Have a Web site issue, concern, or question? We want to hear from you, let us know if something isn’t working right or if it’s exceeding your wildest expectations. Email us at admin@klru.org.